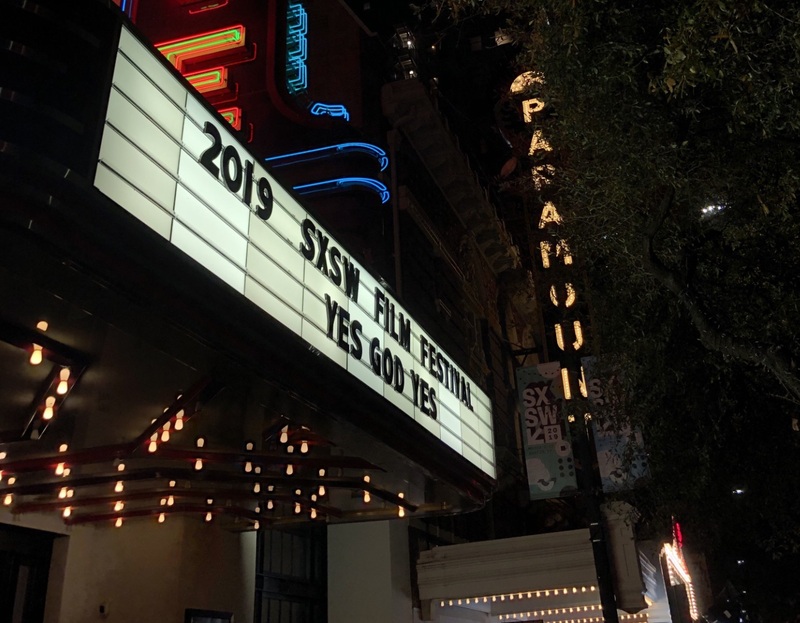 The marquee sign at the Stateside Theatre in Austin, Texas, featuring Lang alum Karen Maine's film "Yes, God, Yes"
Every March, thousands of people, and almost as many brands, descend upon Austin, Texas, for the annual #SXSW Interactive Festival. 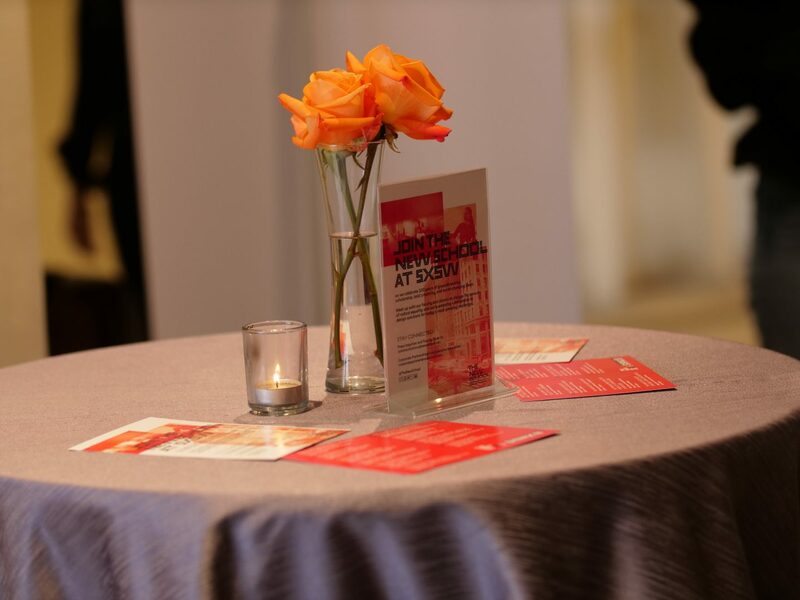 For the last five years, The New School has been well represented at the film, music, and innovation conference by faculty, alumni, and students, and this year was no different. 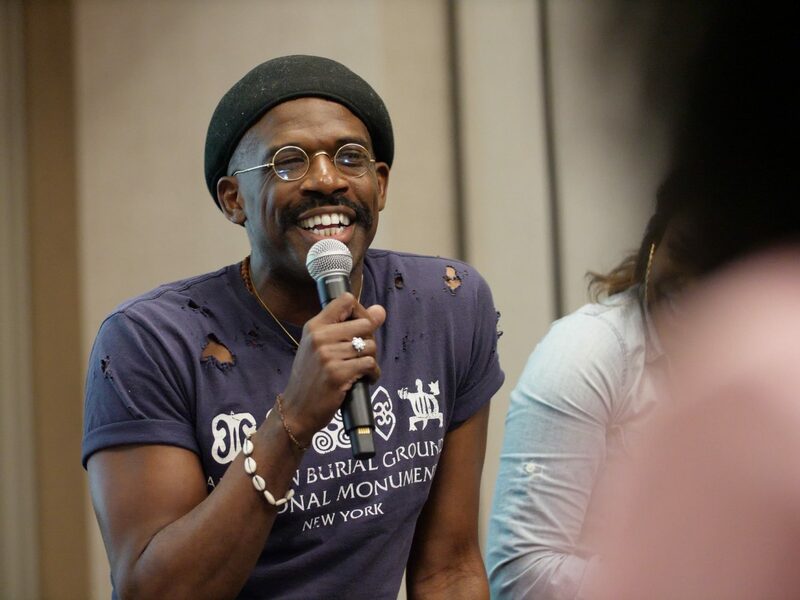 Ranging from panel discussions about the future of blockchain, diversity in fashion, and new gender identities in media to film premieres, yoga sessions, and more, the festival highlighted the interdisciplinary work of faculty, students, and alumni. 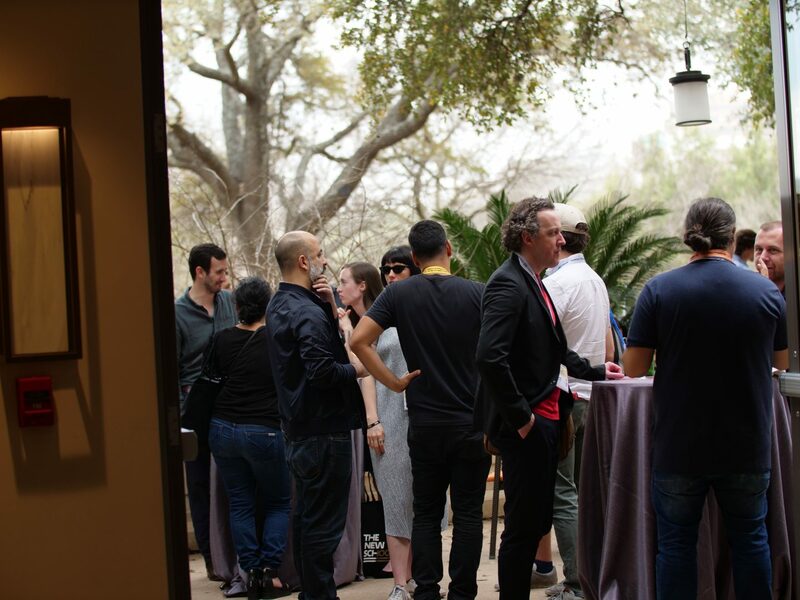 Alumni from throughout the university shared their innovative work spanning the arts, design, social good, and tech and engaged with attendees on a variety of current issues. 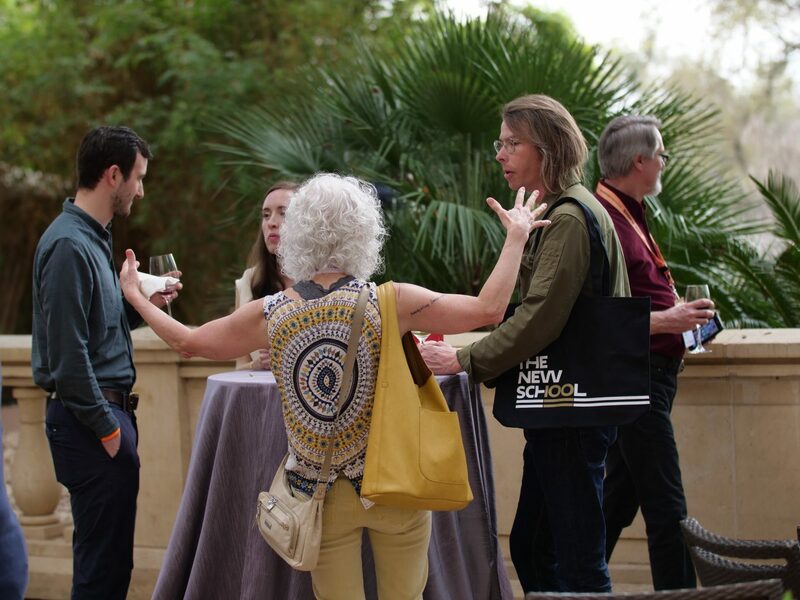 The New School also hosted a happy hour, where faculty, alumni, and current students made new connections. 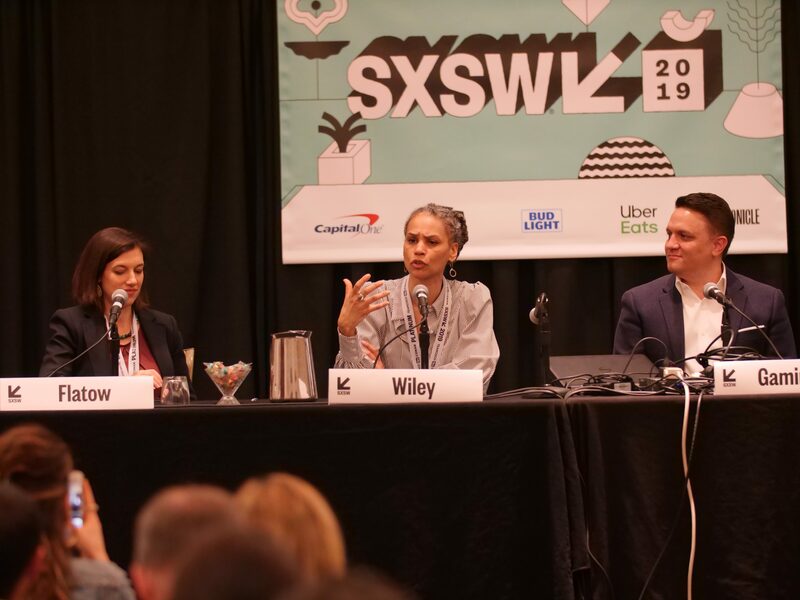 “Unleashing Cities’ Collective Superpower” featured Maya Wiley, SVP for Social Justice and Henry Cohen Professor of Urban Policy and Management at The New School, where she discussed the need for cities to work together in order to spur innovation and growth. Parsons School of Fashion hosted “Sustainable Menstruation Products for Refugees, by Refugees,” about their recent partnership with the United Nations Population Fund (UNFPA), where they were joined by Nadya Okamoto, founder of Period, the world’s largest youth-run NGO focused on women’s health. 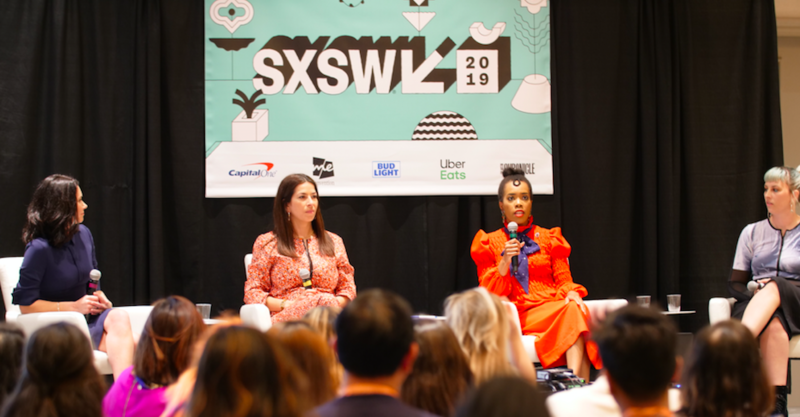 Brendan McCarthy, BFA Fashion Design program director, spoke about the results of the collaboration with the UNFPA, which is a new sustainable menstrual undergarment designed with refugees, for refugees. Mindy Fullilove, professor of Urban Policy and Health, was featured on the “400 Years of Inequality: A People’s Observance” panel, where she spoke about her project to observe the anniversary of the first slaves landing in the U.S., and how she hopes to use the attention to renew and strengthen the struggle for full emancipation, equity, and justice. 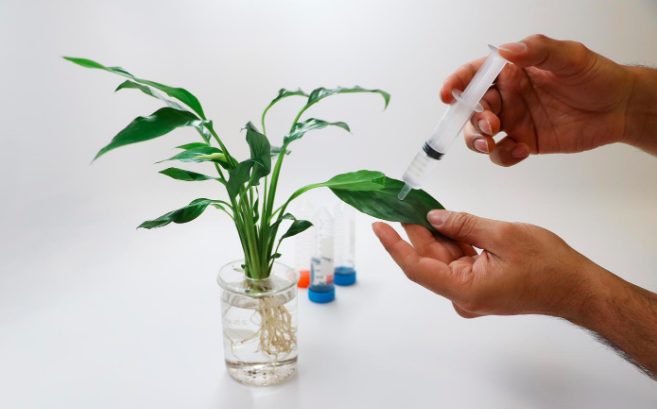 Rounding out the faculty presence at #SXSW, Harpreet Sareen, assistant professor of Interaction and Media Design at Parsons, won the #SXSW Interactive Innovation Award winner in the Speculative Design category for his water monitoring device Argus. 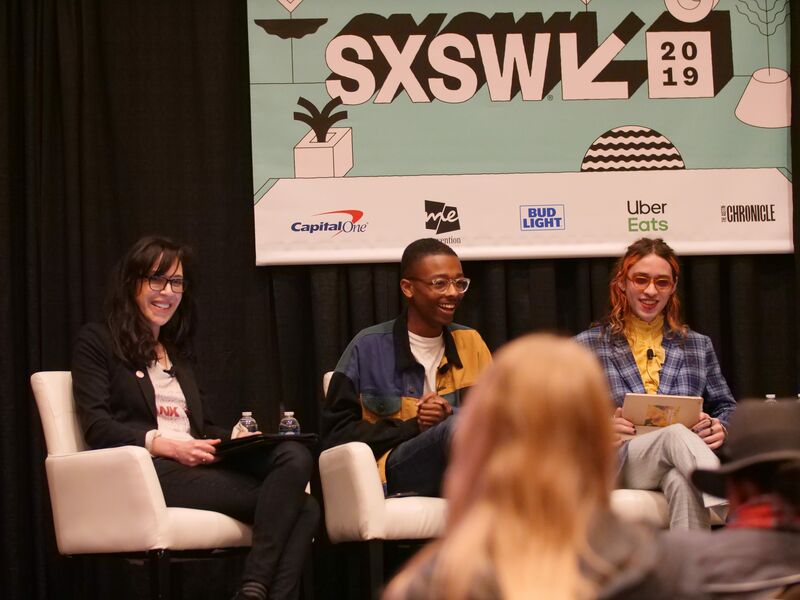 Myles Loftin, Photography ’20, also appeared at the festival, where he spoke on “The Future of Gender Identities in Art and Media” panel, while Duyen (Chanel) Luu Hai, MFA Design and Technology ’19, was a #SXSW Interactive Innovation Award Finalist for Thea, a wearable device to assist the visually impaired with navigation. New School alumni were well represented at the conference as well, premiering films, discussing current events on panels, and winning awards. 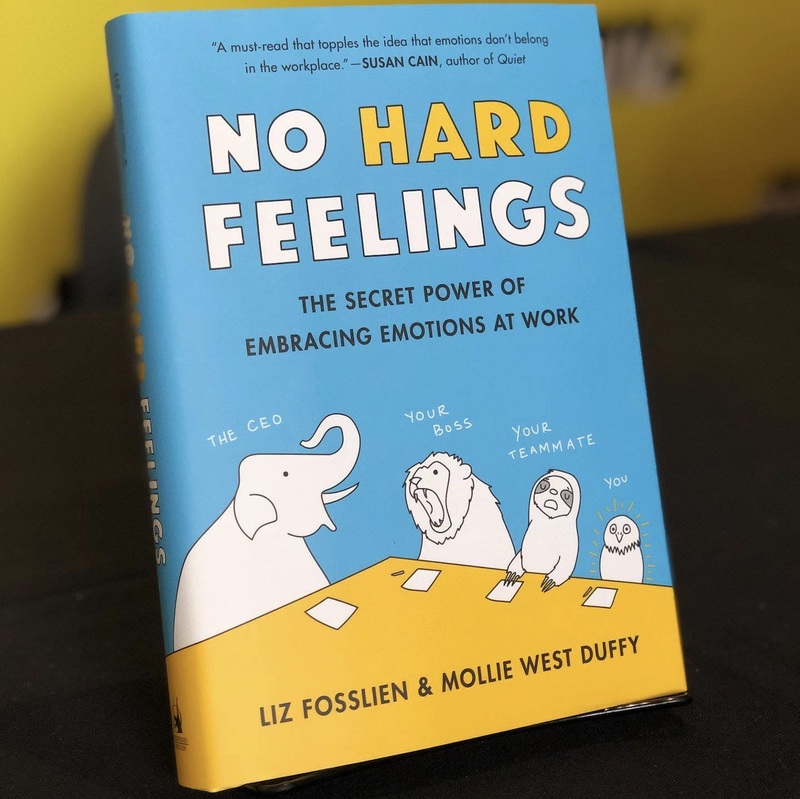 Mollie West Duffy, MFA Transdisciplinary Design ’15, Organizational Designer at IDEO, recently published “No Hard Feelings: The Secret Power of Embracing Emotions At Work.” While Duffy wasn’t able to attend her talk, her co-author spoke about their book, and how people can learn to navigate their emotions in a professional setting. 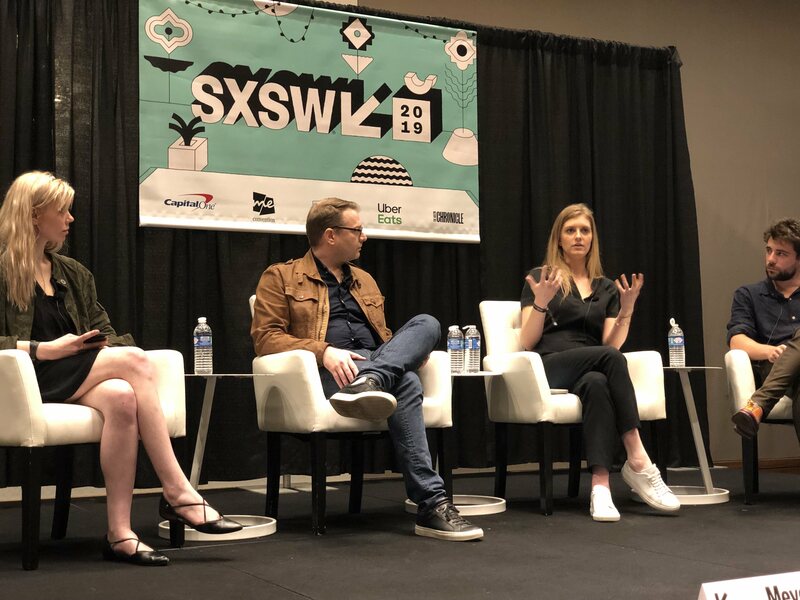 Courtney Snavely, MFA Design and Technology ’17, was the focus of a startup spotlight at the #SXSW Wellness Expo for the company she co-founded, Ovee, a sexual and reproductive health platform empowering women with premium content, curated products, and the supportive community they need to decide what is right for their unique healthcare needs. Sarah Winshall, MA Media Studies ’13, co-produced the documentary “Leave the Bus Through the Open Window,” which premiered in the “Visions” section of the festival. 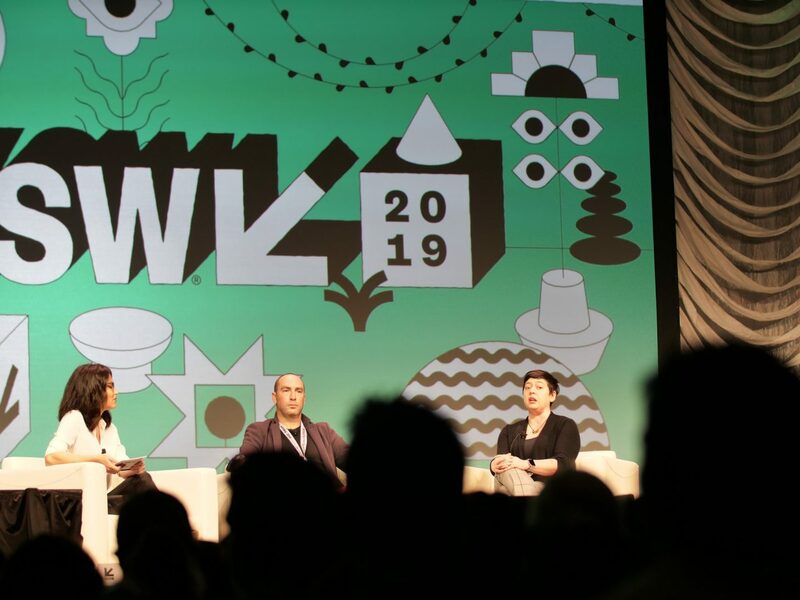 Siddharta Jatia, MFA Design and Technology ’02, was featured on “The Architects are Invading” panel, where he spoke about how his training as an architect informs his current job as Vice President of Global ECommerce at Under Armour. 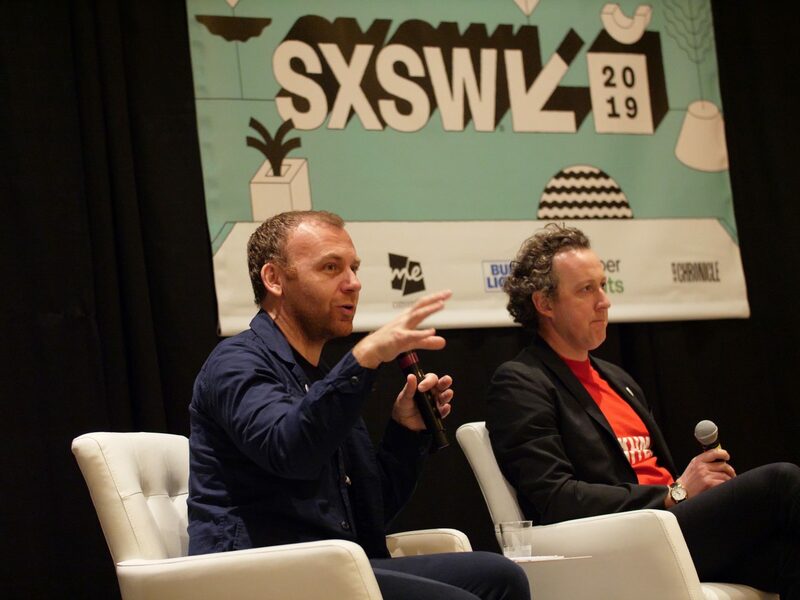 Other alumni from the Design and Technology program were also at #SXSW, including Benjamin Chase and Charles Yust, who both graduated in 2008. Chase led an immersive discussion about equitable access to healthcare, while Yust spoke about the AR/VR exhibit he helped create at SFMOMA. 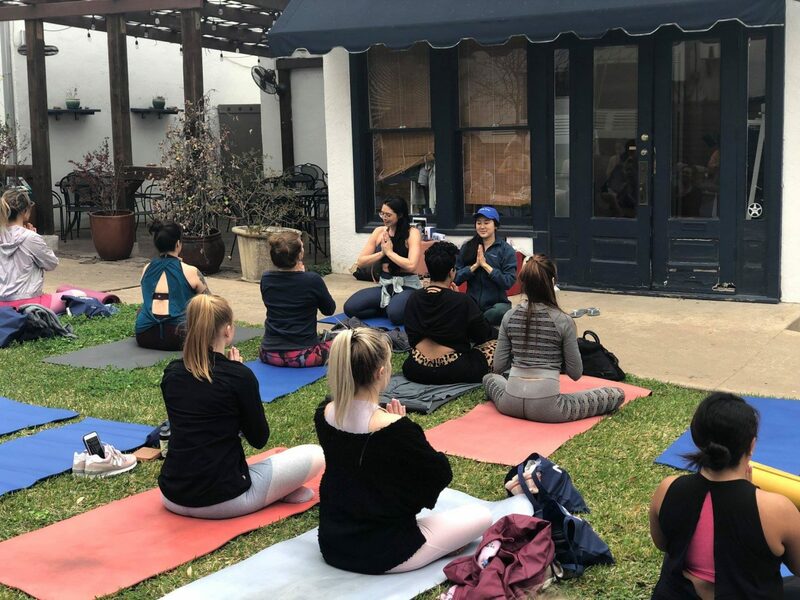 Vanessa Kincaid, BBA Strategic Design and Management ’10, highlighted the necessity of using blockchain for emerging AR/VR technologies in her panel “How the Future of VR & AR Will Be Unleashed Through Blockchain.” Tyler Haney, BBA Strategic Design ‘12, and founder of Austin based brand Outdoor Voices, hosted “Yoga and Chill with Moonlit Skincare,” a new skincare label co-founded by Stephanie Kim, BFA Communication Design ’12, who also serves as the brand’s CEO. 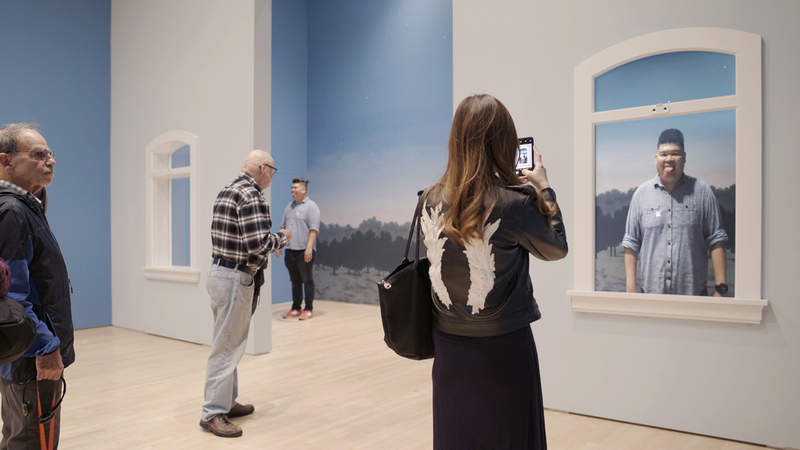 Devin Tellatin, MA International Affairs ’16, co-produced the documentary “The Atomic Tree,” a VR experience about a Japanese White Pine bonsai tree that survived the atomic blast at Hiroshima. 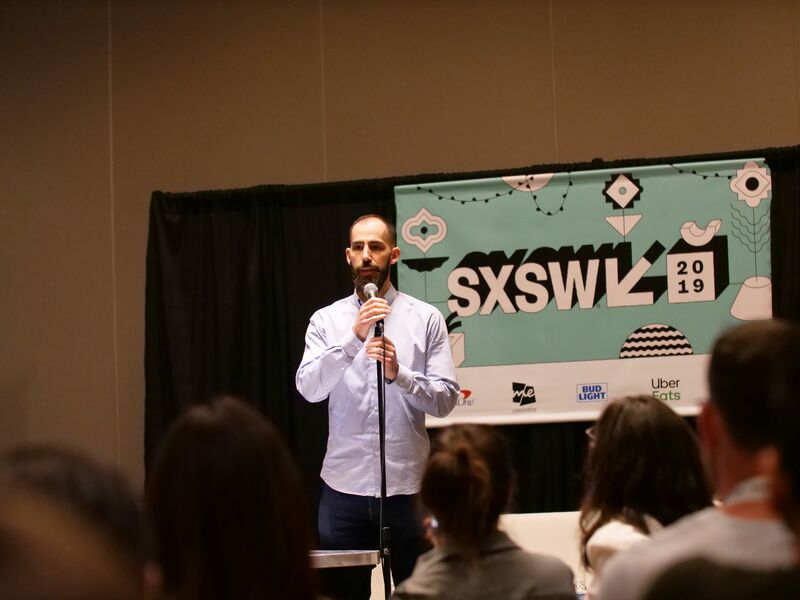 Stephen Bailey, MA Media Studies ’15, also co-produced the documentary “Strange Negotiations”, about a musician who renounces his evangelical Christian beliefs. 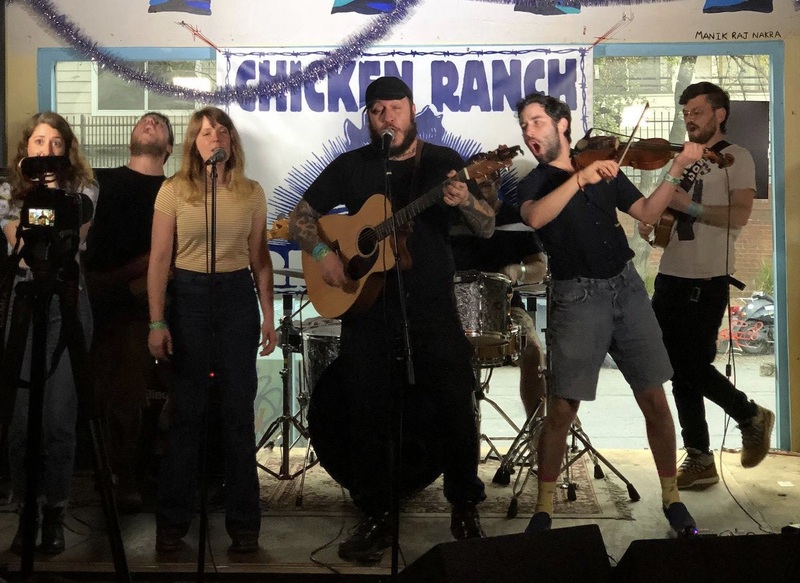 Musicians from The New School headlined the music portion of #SXSW, including Omer Ashano, BFA Jazz and Contemporary Music ’18, who performed with his band OSOG. 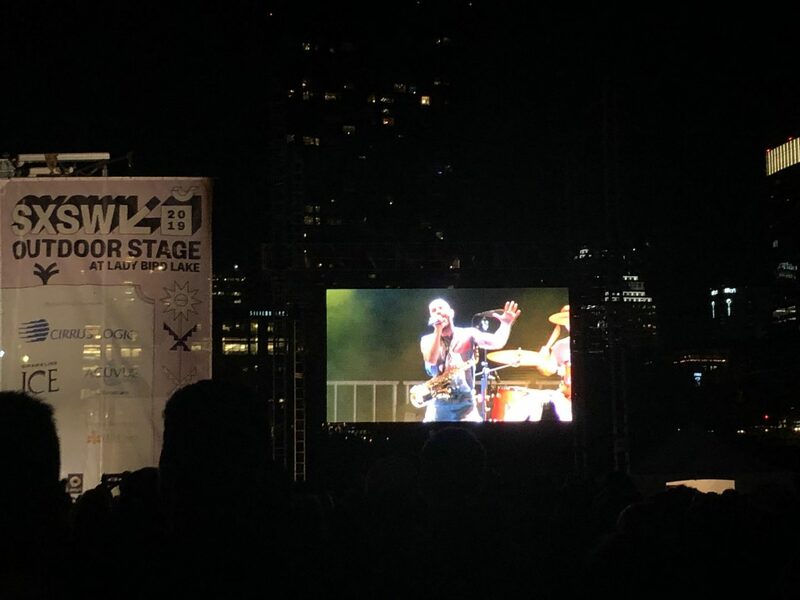 X Ambassadors, featuring Eugene Lang alumni Adam Levin, BA Interdisciplinary Science ’11 and Sam Harris, BA The Arts ’10, played a show at the #SXSW Outdoor Stage at Lady Bird Lake. Savannah Enright, BBA Strategic Design and Management ‘07, and Greg Rhem, MA Media Studies ‘10, led mentor sessions for attendees during the conference. 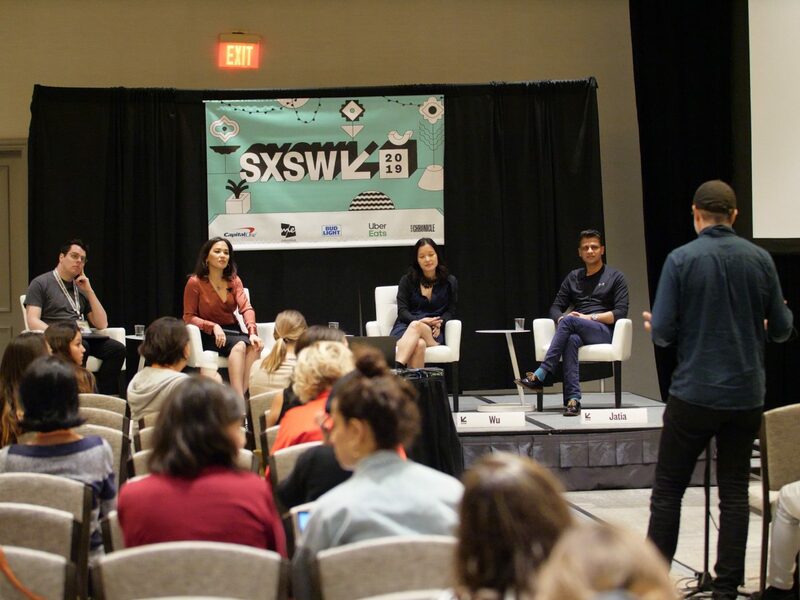 The official #SXSW merchandise was the work of Julie Pinzur, BFA Illustration ’11. As Founder and Creative Director of her own studio Mokuyobi, Pinzur’s vibrant, fun illustrations adorned festival gear such as fanny packs, pins, and t-shirts.